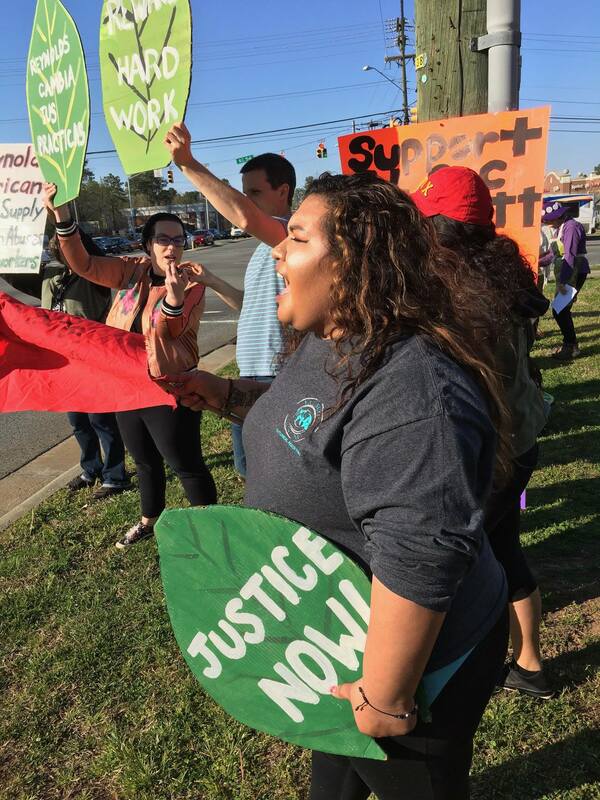 Saturday, April 27, 2019 12-1 p.m.
As a part of our ongoing national boycott of VUSE e-cigarette, the Farm Labor Organizing Committee (FLOC) and community members will take part in a peaceful protest outside of the the 7-Eleven 2601 W. Bancroft St. Toledo, OH 43607 on Saturday April 27, 2019 from 12-1 p.m. We are protesting the widespread abuses of farm workers who work for Reynolds Tobacco’s growers. In 2011, Oxfam America and FLOC released a human rights report detailing abuses like retaliation for speaking out against abuses, squalid housing, sub-minimum wages, and work-related illnesses. Please Join Us! You can make your own Boycott Vuse signs!